I am super excited to share this Tulip Tale with you guys! I just love this series. I can't even tell you how much it means to me to be able to connect with families of children with special needs. While each story is heartwarming and special in its own way, this one in particular is very dear to my heart. Ava is one of the children in my care at Little Tulips. We just love having her with us every day! She is an absolute pleasure to work with, and it is incredible to see how far she has come. 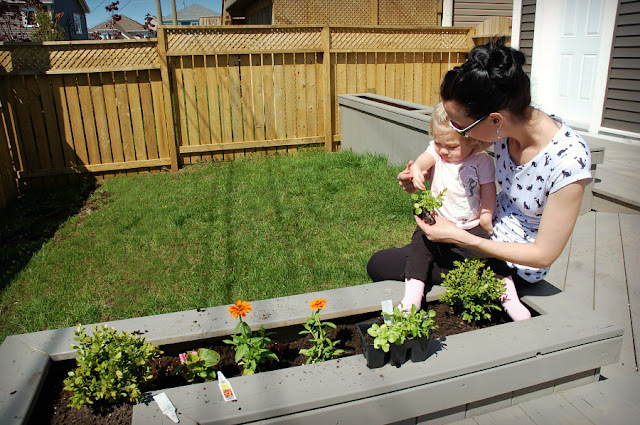 Ava's Mom, Selina shares her story. 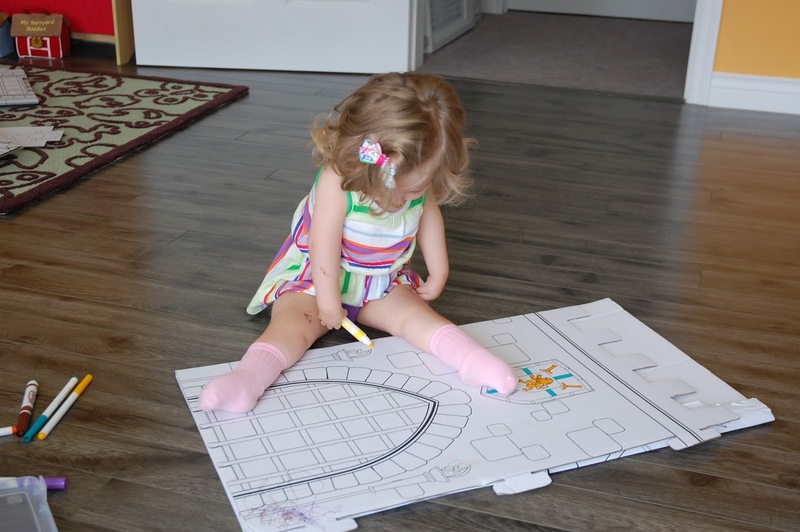 Ava was born with a rare condition called Arthrogryposis Multiplex Congenita (AMC). Arthrogryposis is described as congenital (from birth) joint contractures in two or more areas of the body. A contracture is a condition in which a joint becomes permanently fixed in a bent or straightened position, completely or partially restricting the movement of the affected joint. I found out about this condition via ultrasound when I was 18 weeks pregnant with Ava. Her Dad and I were very nervous and were left with so many unanswered questions. We had never heard about this condition before. The doctor explained it to us, but of course when we went home we found ourselves searching the internet looking for more answers. The articles we found were terrifying and we were faced with some really difficult decisions. In the end, having Ava just made sense to us. 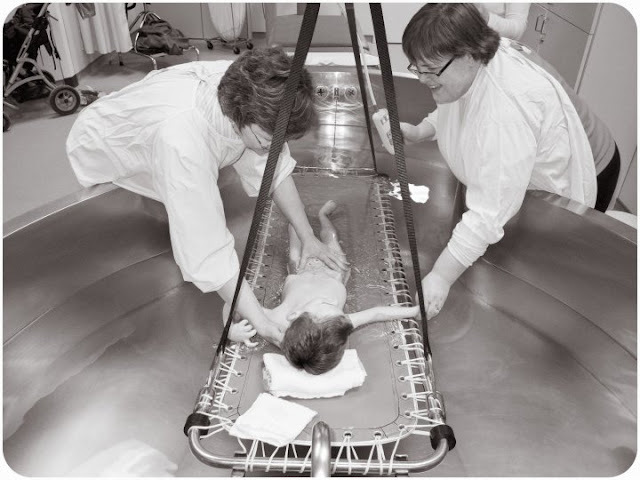 She was born here at the Health Sciences Center in St. John's at 39 weeks gestation. I had to have a c-section, because of the way her limbs were positioned. There are different types of Arthrogryposis. Ava has what is called Amyoplasia, which is characterized by severe joint contractures and muscle weakness. 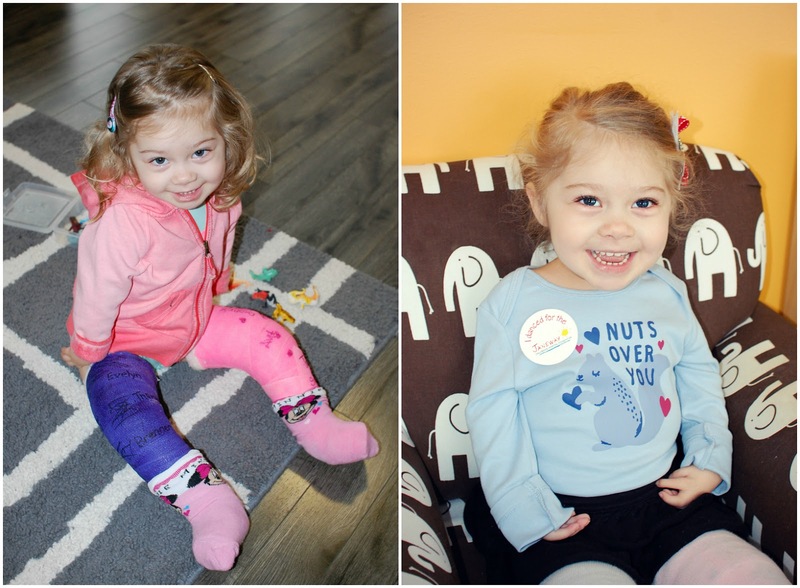 This condition affects Ava's ability to use her arms and legs. Children with Amyoplasia are believed to have normal to above normal intelligence. The exact causes of Arthrogryposis are not fully understood. Any factor that restricts fetal movement during development can result in congenital contractures. Motion is essential for the proper development of joints. A lack of fetal movement allows for excess connective tissue to form around the joints, which can result in the joint becoming fixed and/or limiting the movement of a joint. In theory, any factor that diminishes or restricts fetal movement can cause congenital contractures. Amyoplasia, the most common form of AMC, occurs randomly and is not genetic. I was told that sometimes it "just happens" to babies during fetal development. 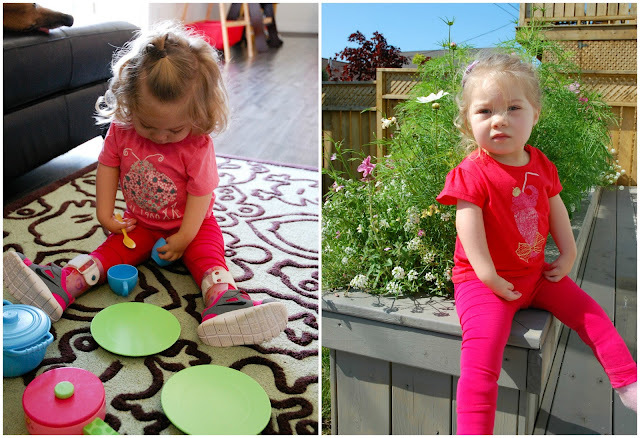 Ava was born with her legs bent about ten degrees the wrong way, and she is unable to move her arms or hands due to the lack of muscle. 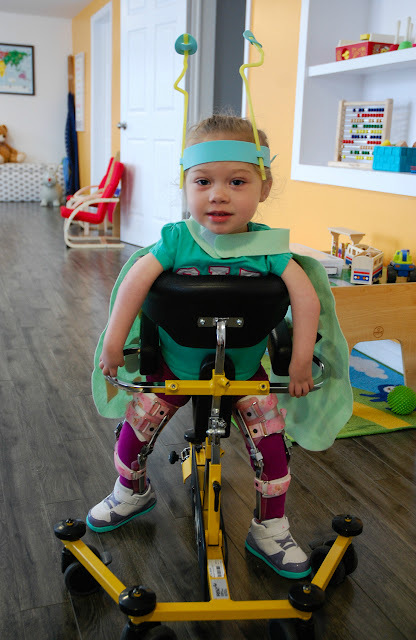 Fortunately, with the help of physiotherapy, occupational therapy, and orthopedic surgery, Ava has been able to overcome some pretty big obstacles. She has had four surgeries to date. 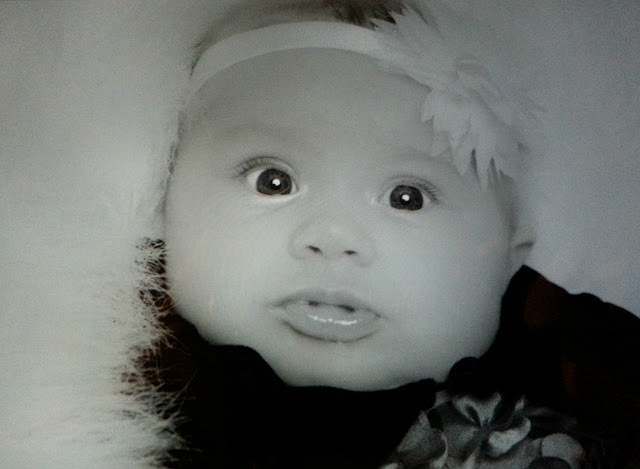 Her first was to insert a port-a-cath that would assist her in all of her upcoming surgeries. Ava had previously gone in to have surgery on her feet but they couldn't get IV access because they couldn't find a vein. That is when it was decided that a port would best suit her medical needs. Her second surgery was to cut the tendons in her ankles on both feet. She had to wear casts for several months, and then braces (AFOs) during the day and at night to help get her feet flat on the ground. This surgery was a success for one foot, but the other required more extensive surgery. Her most recent procedure was this past January. She had surgery on her legs to help create a bend in her knees. She went from having almost no bend at all, to now almost a 60 degree bend. She wears braces on her legs to stretch the muscles and help keep the range of motion. 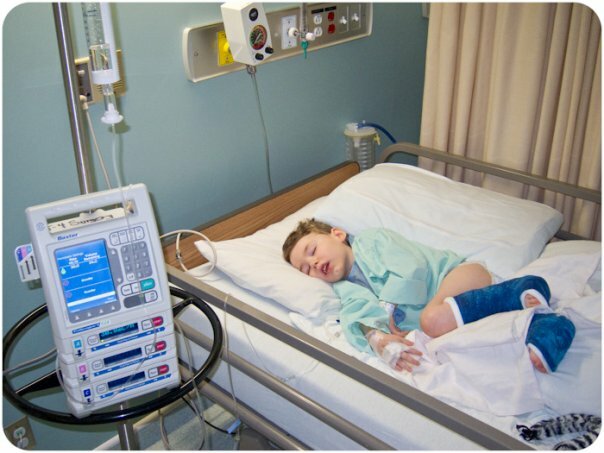 The main goal of treatment for Arthrogryposis is to help a child's joints move as normally as possible. 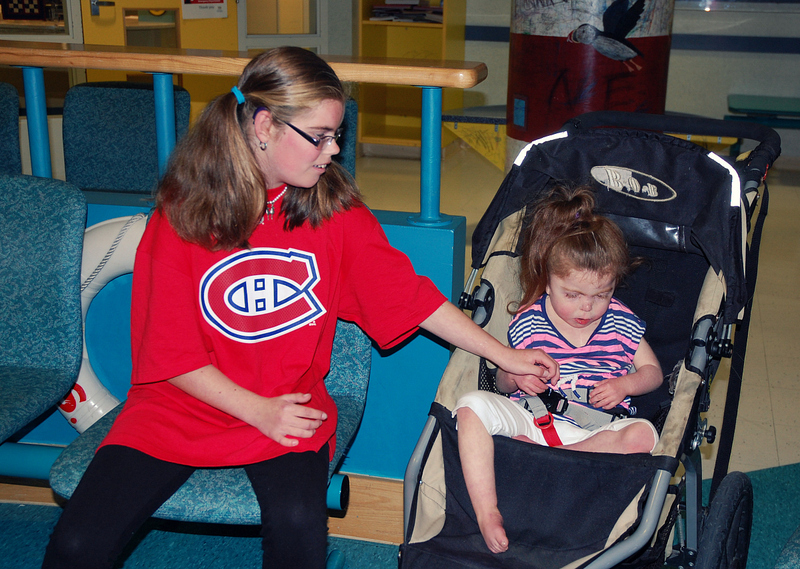 Ava attends regular therapy sessions at the Janeway, and is followed closely by several doctors at the Shriner's Hospital in Montreal, where they specialize in her condition. We are very grateful for all of the medical help that we have received in both provinces. Ava continues to amaze us every day. She is our little trooper! Ava is a very strong-willed little girl. 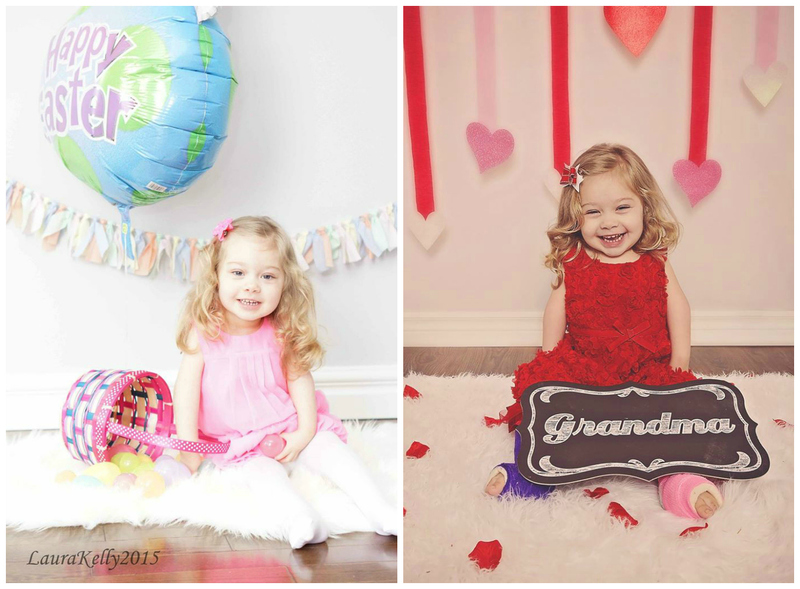 She is a smart, energetic, and playful two (almost three) year old! Ava has figured out how to use her hands to color, paint, draw and play games on the iPad. She uses a walker to get around, and to say she likes to walk is an understatement. Her first words in the morning are a very animated, "Mom, I'm walking!" Ava continues to grow and learn new things every day and she is surrounded by family and friends who can't wait to see what the future holds for her. We know she will succeed in anything she puts her mind to. I am thankful for every day with my little blessing. I would truly be lost without her. "The only disability in life is a bad attitude!" We try and keep that quote in mind while raising our daughter. We wouldn't change anything about Ava. She is perfect and has made us the parents we are today. Our minds opened up to a whole new world when she was born. This year, June 30th, 2015 will be recognized as Arthrogryposis Awareness Day across the province of Newfoundland and Labrador. While we should consistently fight to raise awareness for conditions no matter the time of year, having a designated awareness day has the potential to make that fight more impactful. I am so pleased to say that this year we will be wearing blue in support of Ava and all other families who are affected by Arthrogryposis. Please join us and wear blue for AMC day! 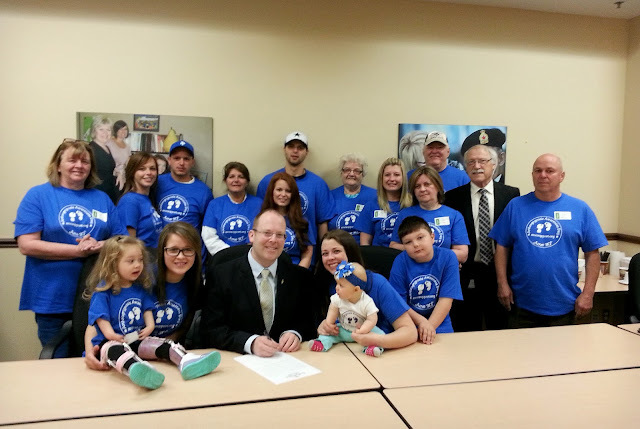 Ava and her family with Deputy Premier and Minister of Health and Community Services, Steve Kent, signing the proclamation recognizing June 30th as Arthrogryposis Awareness Day in Newfoundland and Labrador. Tommy Glatzmayer and his older sister Melanie are from Ontario, Canada. 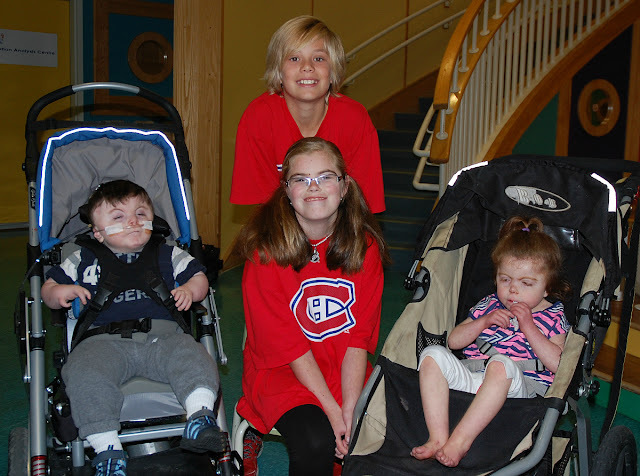 Melanie was born with a rare syndrome called Cornelia de Lange Syndrome (CdLS). 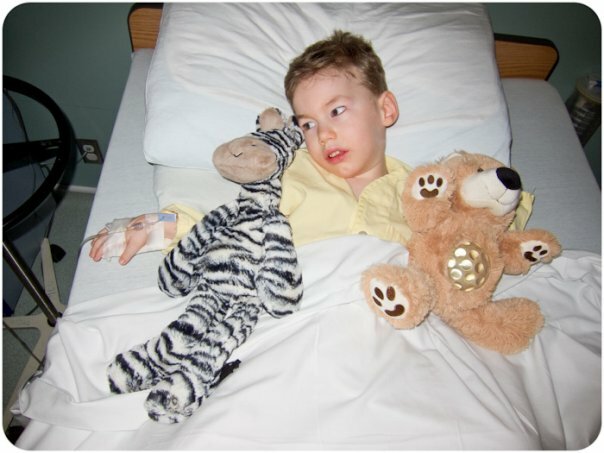 CdLS is a chromosomal disorder that has just 100 confirmed cases in Canada. Melanie has vision and hearing problems, limited speech, and significant developmental delay. When Tommy was just six years old, he wanted to write a book. He wanted to teach his friends about his sister's rare condition, so that they would understand why she was different. 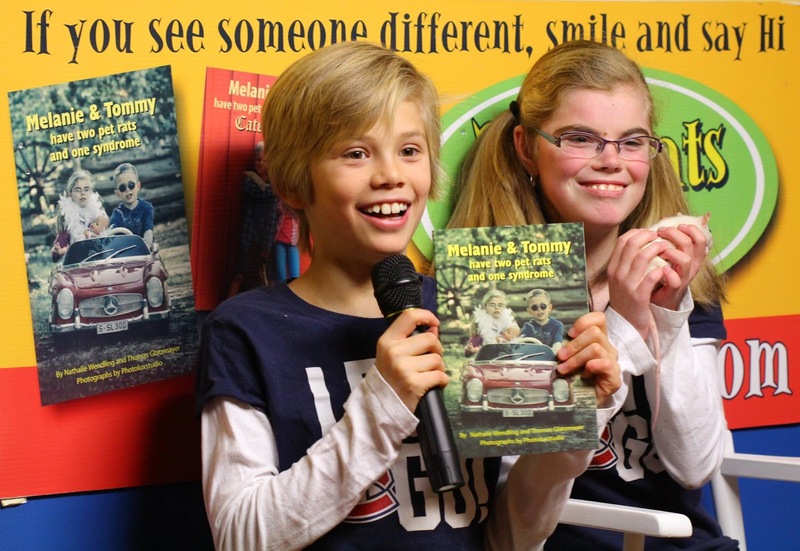 Tommy and his Mom, Nathalie Wendling wrote the book together. He was in charge of the story, making sure it was funny enough to entertain his friends. She was in charge of making it informative and educational so that it could be used to raise awareness about CdLS. In grade one, Tommy came home from school crying because his friends were teasing his sister. He said they were teasing her about her work and how she can't see and can't write her name well. Tommy was very upset and said that he couldn't stand it anymore. He wanted them to stop making fun of her, and so his Mom decided to self-publish the book immediately. “Tommy and Melanie have Two Pet Rats and One Syndrome” was born! Since then, Tommy and Melanie have been presenting their message of acceptance to audiences all over North America. They have visited all ten provinces in Canada, and have distributed over 10,000 books to individuals, schools, hospitals and libraries. 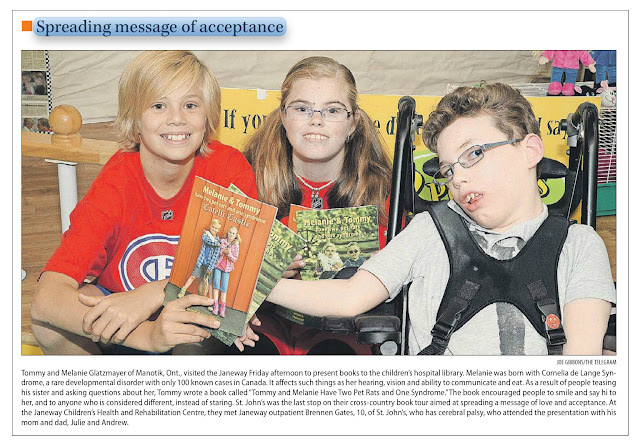 In Grade 3, Tommy realized that his presentations and books were helping all of the "Melanie's" out there. They were introducing children to the concept of disabilities and differences, and encouraging children to help others. Tommy says, "If you see someone different, smile and say hi." "Staring is rude. But if you are going to stare at someone for a long time, wave, smile, say hi, then smile again! If the person can't speak, they are usually accompanied by someone who can. Smile, smile, smile. Smiling is not rude!" 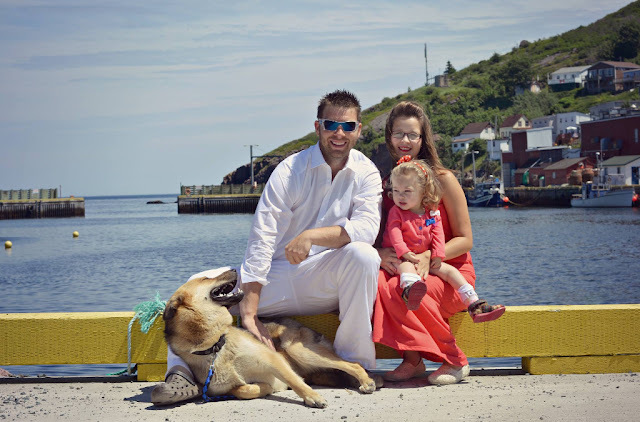 Tommy and Melanie just completed their cross-country tour with their final stop in St. John's, Newfoundland. 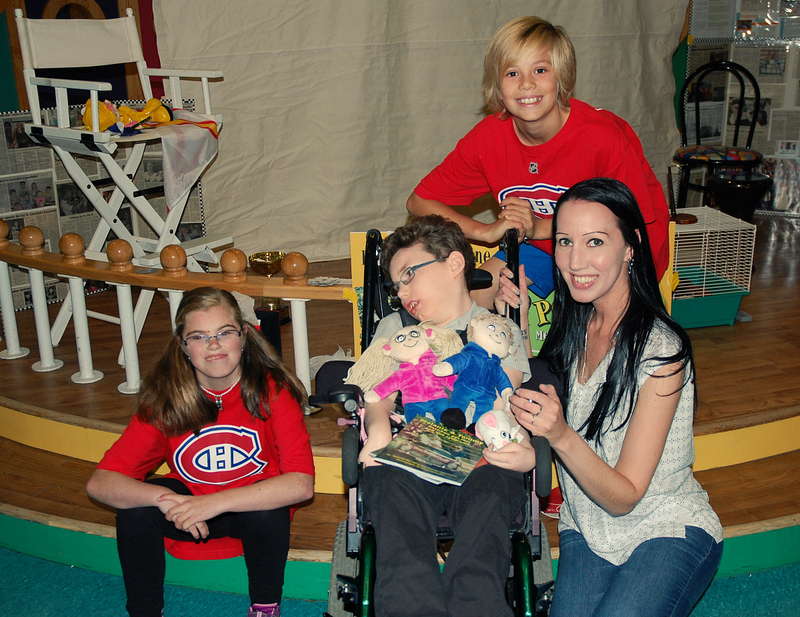 They presented to a group of families and health care providers at the Janeway Children's Health and Rehabilitation Centre, where Brennen and I were thrilled to meet the duo. Here is Melanie meeting another little girl with Cornelia de Lange Syndrome. And our sweet friend Graysen, who also has CdLS. "If you see someone different, smile and say hi", is a message that really hit home for me. So often, we encounter people who don't know what to say to Brennen, or don't know how to act around him, but it is really just that simple - smile and say hi! People stare because they are curious, but curiosity can turn to cruelty if children do not have advocates. I think every parent of a child with special needs has at least imagined, if not experienced, a moment where their child was made fun of or left out because they were different. My heart breaks just thinking about someone at school being mean to Brennen, or calling him names. I can't even bear the thought of people making fun of him or picking on him because of his disability. We should all be teaching kindness and acceptance to our children, so they will have compassion and not turn into bullies. We need to talk about differences. We need to ask kids what they want to know and provide them with the information that will erase the lines of discrimination. Every child is unique and special and we should celebrate that fact! Though some children, like mine, bear extra titles like "special needs", every child is special and each one has unique needs. Tommy and Melanie, I want you to know that I love what you are doing. Opening up to audiences of children, teachers, and parents makes my job as a Mom a whole lot easier. You are changing perspectives and celebrating differences. You are raising awareness and breaking down barriers, and your work is appreciated. It was a pleasure meeting you both, and I wish you continued success and happiness! Tommy says, "I want to continue this project and hope that we make a difference in this big country. It's not just adults who can make a difference. Kids can too." 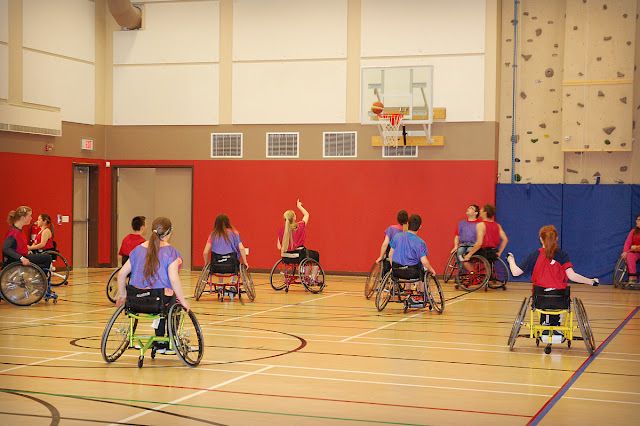 According to the Canadian Paralympic Committee, "Parasport is sport for people with a disability. It is "para"llel to sport for able-bodied athletes, with adapted equipment or rules to make the game fun and accessible for everyone. There are also some parasports that do not have an able-bodied equivalent." The Parapan American Games are a regional qualifying event for the Paralympic Games. 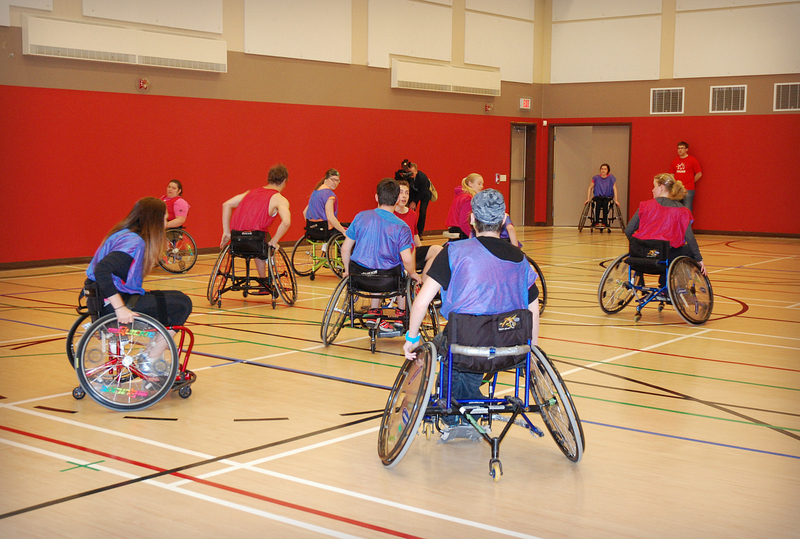 This weekend, Easter Seals hosted a Parapan Am Celebration - a "Try-it" day of parasports. Activities included Wheelchair Basketball, Boccia and Goal Ball. People of all ages and abilities were invited to this special event which provided opportunities to watch exciting demos and meet some local Parasport athletes. 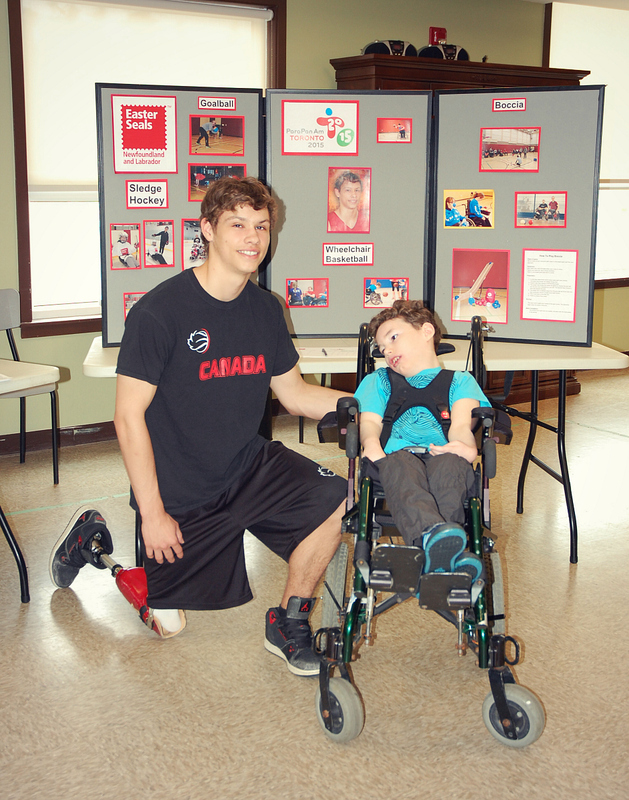 Brennen and I were super excited to meet Wheelchair Basketball Athlete, Liam Hickey. Liam was born without a femur in his right leg, known as congenital proximal femoral focal deficiency. Several surgeries at four and five years old left him with a bendable knee and an artificial lower leg. Liam has always had a passion for sports, and started playing stand-up basketball with his peers at a very early age. He kept up with his friends until they got a bit older and the game became faster paced. With his prosthetic leg, he found it difficult to compete. 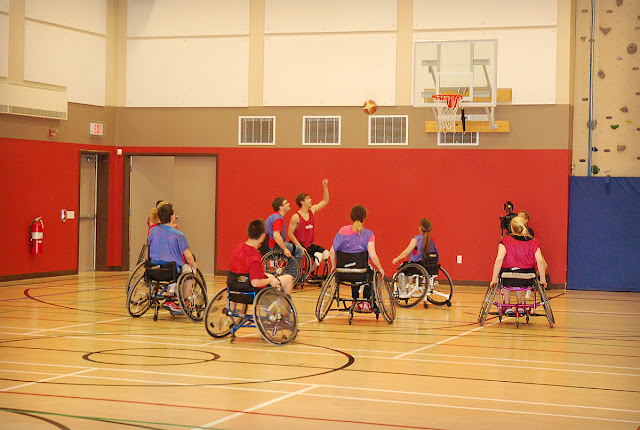 He started playing wheelchair basketball at Easter Seals when he was about ten years old, and obviously had tremendous skill, because when he was eleven, he got called up to the junior team with Team Canada. 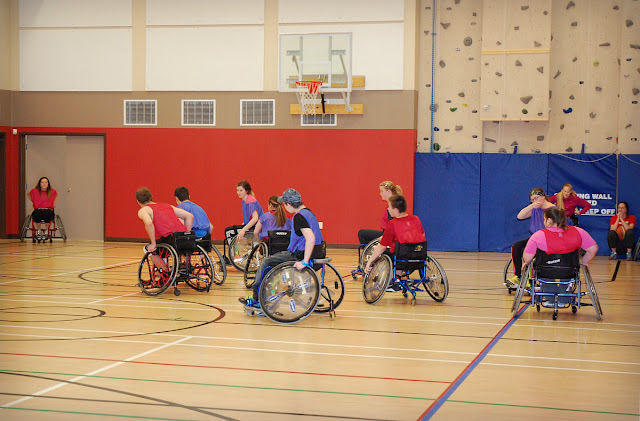 Newfoundland does not have a wheelchair basketball league, so Liam was invited to play for the PEI Mustangs in the Maritime Wheelchair Basketball League (MWBL). Earlier this year, Liam led the Prince Edward Island team to a best-ever fourth place finish at the 2015 Canada Winter Games. 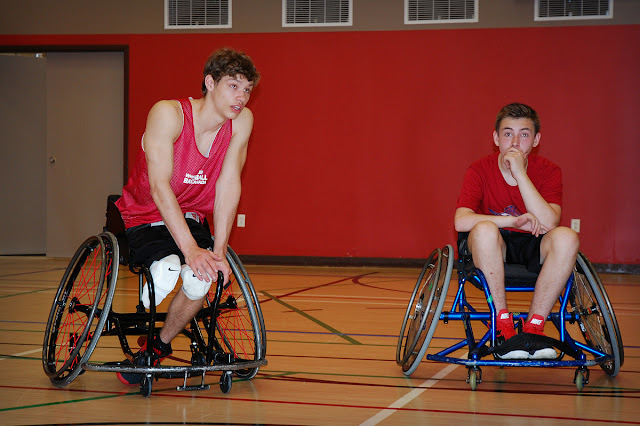 Recently named Wheelchair Basketball Canada’s 2015 Junior Athlete of the Year, at just sixteen years old, Liam is one of the youngest players ever to earn a roster spot on the Canada Senior Men’s Wheelchair Basketball Team. 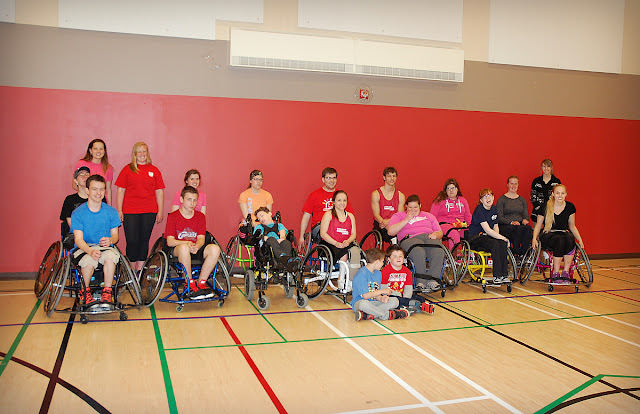 Liam will compete with Team Canada in Toronto in August at the Parapan Am Games. If the team finishes in one of the top two spots, they will head to Rio de Janeiro in 2016 for the Paralympic Games. Watching Liam and the other players work their way around the court, I was amazed at their incredible drive and determination, and I can only imagine how that would be magnified on a National level. With athletes with varying disabilities and varying levels of ability, I wondered where Liam felt he fit in. I asked him, "Do you consider yourself “disabled”? How / where do you feel you fit in with the disabled community?" Liam replied, "No, personally I do not consider myself "disabled". To me the word "disability" is just a word. A disability isn't a disability unless you let yourself think it is. The moment you let that happen you're already limiting yourself. I try to fit in to the "disabled" community as a leader and role model. I think if other "disabled" kids and people in general see where I have gotten with hard work and determination, it will open their minds up to the endless possibilities out there. I also want to set an example for all of the "able-bodied" people and show them that there are no limits - "disabled" or not." Me: Tell me a little about yourself growing up. Did you believe that you wouldn’t be able to be involved in sports because of your leg? Liam: "As a kid growing up, I was always very competitive and received that competitive nature from my parents, who were both talented athletes through high school and in their university days. I was always playing some sort of sport growing up. Whether it was having a catch and playing stand-up basketball with my Dad, or playing ball hockey with my friends. Dad has always showed me how to be competitive yet a good sport at the same time. My Dad played fast pitch softball for many years in his late 30's and I think seeing the way he handled himself on and off the field really showed me how I should act as a player and as a person in general. All of my family have been very supportive of me while growing up, especially my sister Megan. They helped me believe that I could do anything I wanted. So no, I never really had the thought that I wouldn't be able to do just as much as other kids." Liam hopes his story will inspire others to not let their disabilities get in the way of what they want to achieve. Anything is possible. The world of opportunities for people with disabilities continues to expand, and will do so as long as we support the idea that everyone has the potential to enhance their quality of life and realize their dreams. Liam has made his dream a reality. I am inspired by his incredible strength, courage and determination. In an age where the media highlights some less-than-encouraging role models and questionable celebrity influences, Liam is someone who is truly worth admiring. 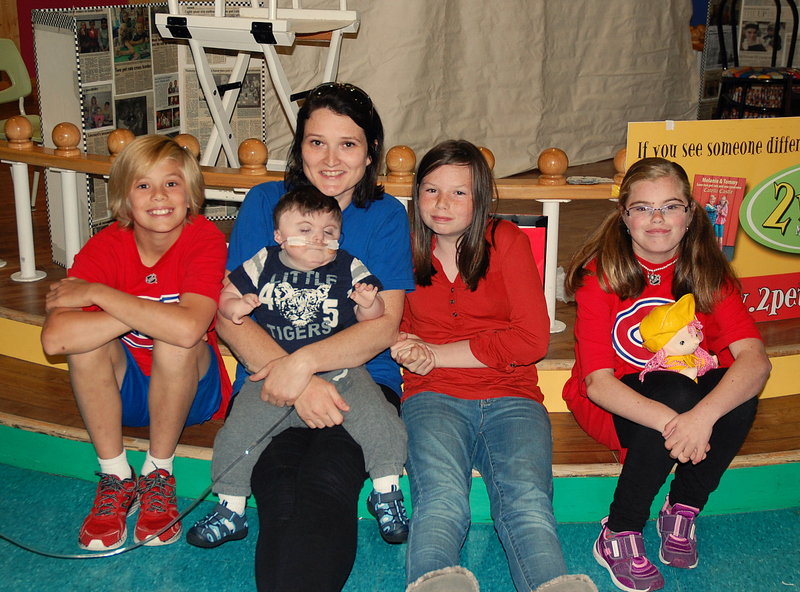 This weekend is the 31st Annual Janeway Children's Miracle Network Telethon. Sunday, June 7 @ 9:00 a.m. to 7:00 p.m.
More than just a hospital, the Janeway is a second home to many children and families from all over Newfoundland and Labrador. The Janeway Children’s Hospital has been a huge part of our lives. Through Brennen’s many surgeries and therapy appointments, check-ups and admissions, we have had more visits than we can count. 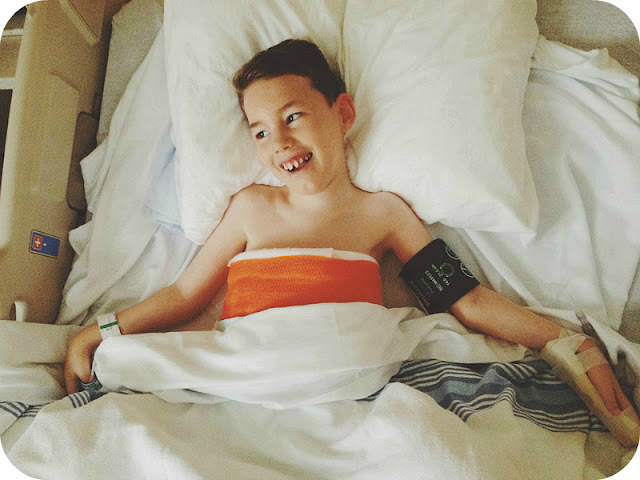 We are extremely thankful for the high standard of care that Brennen has received, and continues to receive, at the Janeway. The staff have gone above and beyond to care for Brennen and our family as a whole. We can’t thank them enough. We are fortunate to have Brennen home with us right now, but every day, there are children and families at the Janeway who are not so lucky. The money raised through the Janeway Telethon helps to provide the children of our province with the best care possible. If you are a parent, you never know when you might require the services of the Janeway. You never know what lies ahead for you or your family. We treat the hospital almost like an insurance policy - we want to have it if we need it, but we hope we never have to use it. You never know when an accident might happen, or an unexpected diagnosis might be given. You don't know when you're going to get a phone call saying that the specialists want to see your child, or that they need to be admitted for tests. Only when the day comes that you need it, will your appreciation for the Janeway become a reality. 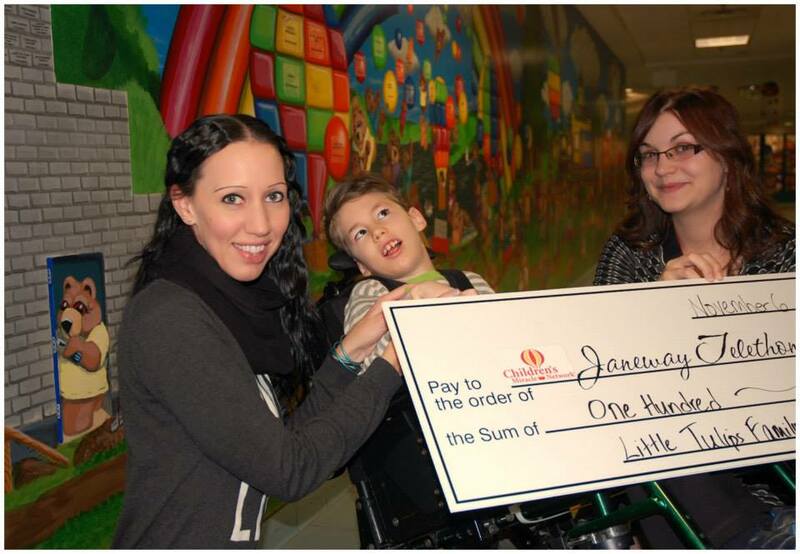 Our family donates to the Janeway several times throughout the year. Our group at Little Tulips Family Child Care participates in Jamarama, and in February we held a Daycare Dance-A-Thon and raised an incredible $650.00!! We love to watch the Telethon as a family. 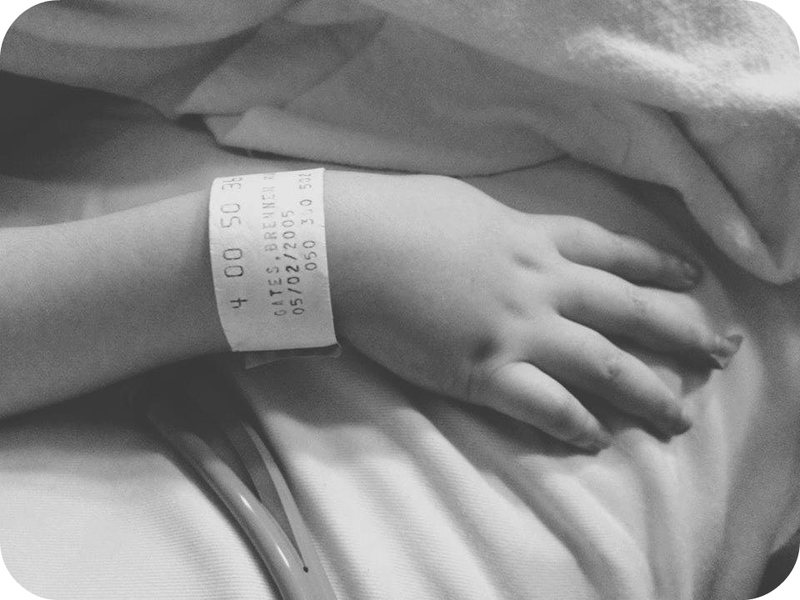 We watch to see the familiar faces of people we know - the doctors and nurses, surgeons and therapists. We watch to see the touching stories of hope and healing, and the introductions to the Janeway "Miracle Kids" and "Champion Child". We watch to see our friends in the community volunteering their time in the phone banks, and we love to watch the numbers creep up on the total board. This year, the Janeway Telethon has a new theme song, called 'Bounce Back', written and performed by local musicians The Swinging Belles and featuring The Once. 'Bounce Back' is a catchy, upbeat tune capturing the spirit of fun and celebrating the healing power of children. I love it! Please donate to the Janeway this weekend. Your contributions have a profound effect on the level of health care excellence available right here in our province. Having a facility that focuses on children's health in our community is absolutely worth supporting. Don't be fooled by the rocks that she's got. J-Lo has her head on straight when it comes to being a Mom and doing what is best for her kids. This year, she is encouraging us all to "Put your money where the miracles are", as the official spokesperson for Children's Miracle Network Hospitals. To pledge your support, please contact 777-4502, or toll free at 1-855-777-4502. Visit www.janewayfoundation.nf.ca to make a donation or text JANEWAY to 45678 to donate $20.